Interested in learning more about Lookout Mountain’s watershed and landscape? Lookout Mountain is in one of the most biologically diverse and critically imperiled ecoregions in the world. It stretches 90+ miles from Chattanooga, Tennessee to Gadsden, Alabama, with three miles in Tennessee, 35 miles in northwest Georgia and 52 miles extending into northeast Alabama. Large unbroken hardwood forests, rare and unique species, karst geology and significant aquatic resources have led Lookout Mountain to be designated as a “Conservation Opportunity Area”. Important conservation sites include: Zahnd Natural Area, McLemore Cove, Little River Canyon National Preserve, Pigeon Mountain and Otting Wildlife Management Areas. Lookout and Pigeon Mountain form a V, like the thumb and index finger of a person’s left hand held palm down, with Lookout being the index finger and Pigeon being the thumb; nestled in the V shape is McLemore Cove. Lookout Mountain is the southernmost extension of the Cumberland Plateau, separated from the Plateau by the Tennessee River. 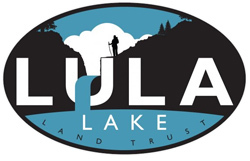 The Lula Lake Land Trust is another local conservation organization working to conserve the ecological heritage of the Lookout Mountain Region. 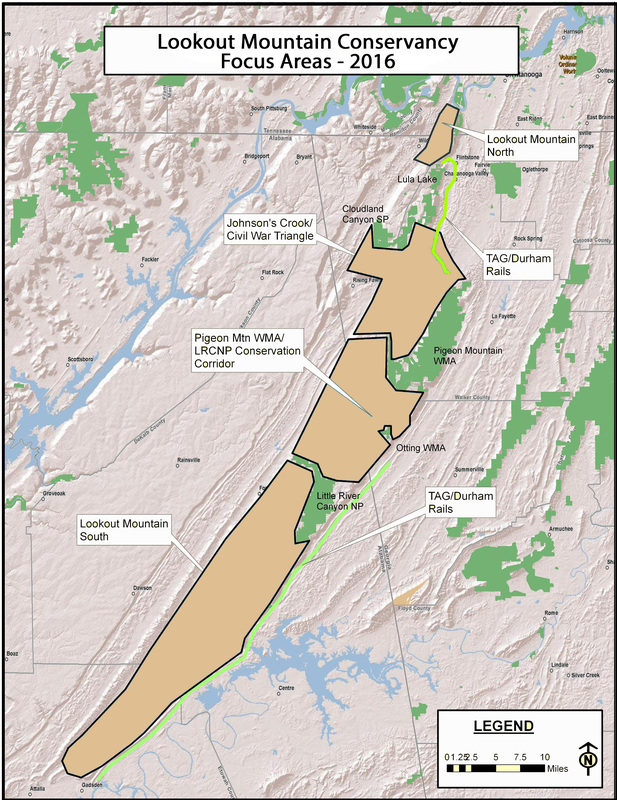 This land trust focuses on protecting and preserving the Rock Creek watershed, a portion of the Lookout Mountain area. Visit Lula Lake Land Trust. The Lookout Mountain region is filled with great places to visit. For new places to hike, bike, fish, paddle or play in the water—even experience the landscape from the air, check out these partner websites. 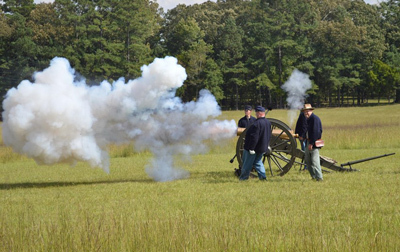 The National Park Service website for Chickamauga & Chattanooga provides an overview of the National Military Park including information on operating hours, fees, maps, permits and activities for kids. 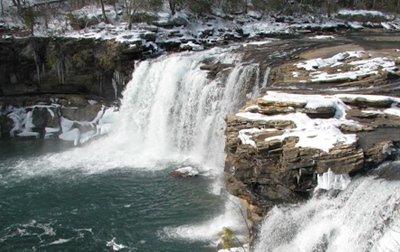 Little River Canyon offers a variety of recreational activities with scenic woodlands, waterfalls, bluffs and boulders. It is owned and managed by the National Park Service. 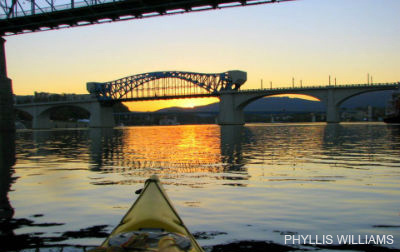 Outdoor Chattanooga provides information on places to go and experience the out-of-doors in our area, focusing on things to do on land, water and air (including hang gliding and sky diving). The website also provides information on upcoming events and activities in the area. Located in Chattanooga, Reflection Riding Arboretum and Nature Center is a terrific partner in Lookout Mountain Conservancy’s work to inspire more youth and families to connect with nature and the out-of-doors.They host a variety of educational programs, summer camps and places to visit. © 2019 Lookout Mountain Conservancy.